PLYMOUTH Leander’s Tom Beeley enjoyed a medal-winning trip to the Scottish National Short Course Open Championships in Edinburgh at the weekend. The 19-year-old knocked four seconds off his personal best to win silver in the men’s 200m butterfly final. He was only beaten by Great Britain star Duncan Scott. Scott, who has won Olympic, World, European and Commonwealth Games medals, took victory in 1:54.96, with Beeley touching in 1:55.47. The Leander swimmer was a long way ahead of third-placed athlete, Ryan Brown of Glasgow, who stopped the clock in 1:58.31. Beeley, who has represented Great Britain and Scotland at junior level, also made the A finals of the 100m butterfly, 50m butterfly, 200m backstroke and 200m freestyle. He came fourth in a strong 100m butterfly final, which was also won by Scott. Beeley clocked 53.47 seconds. He came sixth in the 50m butterfly in 24.72 and eighth in both the 200m freestyle (1:51.07) and 200m backstroke (1:58.95). 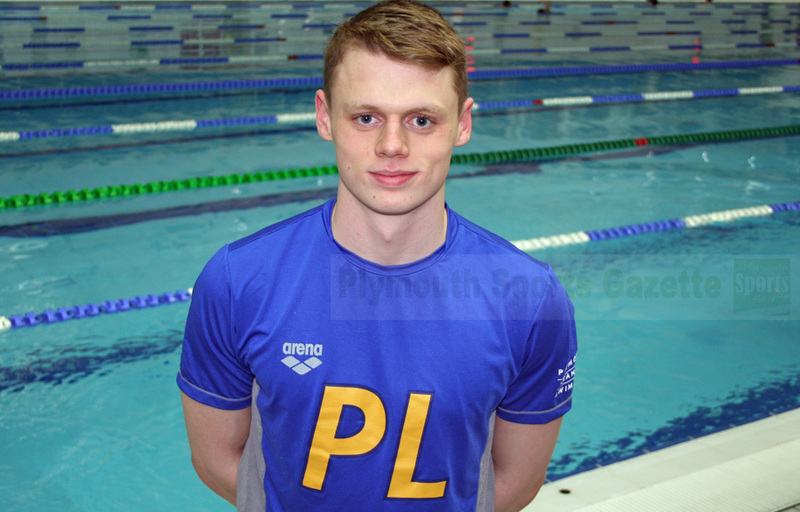 Former Plymouth swimmer Perry Gardner, now at the University of Stirling, took bronze in the 200m backstroke. Mount Kelly also impressed at the Scottish Championships in Edinburgh. They took a large team to the competition and their swimmers claimed 89 personal bests. Tymofii Chemeryk, 14, knocked more than 20 seconds off his 1,500m PB to finish 12th overall and set a new school record by 15 seconds with a 16:27.91 minute swim. Samuel Peck reached one A final and three B finals in Scotland. He came eighth in the A final of the 200m IM (2:07.00) and reached the 100m and 200m breaststroke and 400m freestyle B finals. Georgina Dennis reached B finals in the 100m, 200m, and 400m freestyle events. There were also B finals for Caoimhe Quinn (200m butterfly), Callum McGregor (100m breaststroke), Jacob Newcombe (50m backstroke and 100m backstroke), Amelia Riggott (50m breaststroke), Alens Jaunberzins (200m butterfly), Sophie Main (200m breaststroke) and Angel-Skye Davenport (200m breaststroke).